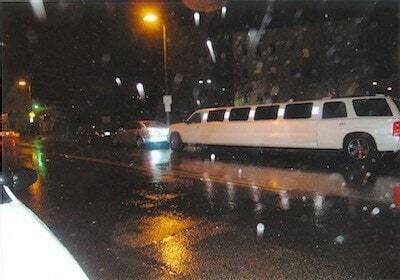 In March 2010, our client, a 25-year-old woman, was a member of a bachelorette party that rented a limousine from Entourage Livery, Inc. for a night of barhopping and celebration. The group had purchased a “VIP Package” which entitled them to door-to-door service. At the time of the incident, the air temperature was in the mid-thirties. There was a wind-driven rain blowing at about 25 miles per hour. None of the women had rain gear, jackets or umbrellas, as they had expected door-to-door service. Immediately prior to the incident, the defendant limo driver deposited the group across the street from the bar to which they were going. Each of the women got out of the limo and darted across Dorchester Avenue. Plaintiff testified she looked but did not see the vehicle until her face was planted in its windshield. 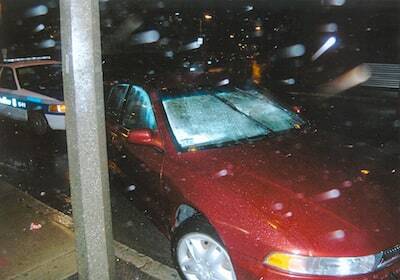 Defendant driver testified he never saw plaintiff in the roadway until she was on his hood. Neither saw the other due to the severe weather and poor visibility at the time of the crash. Plaintiff suffered severe facial lacerations to her mouth, chin and cheeks. Miraculously, she only suffered a non-displaced tibial fracture which required no treatment. She underwent three laceration repair/scar revision surgeries and was left with moderate facial scarring. Entourage Livery, Inc. had an online training manual which stated that its drivers were never allowed to drop passengers in a place which would require them to cross the street to get to their destination. The manual stated that the driver should maneuver the vehicle so that passengers were dropped directly in front of their desired venue. Defendant claimed this was a customer service rule, not a safety policy. Defendant moved for Summary Judgment on the theory that the company owed plaintiff no duty of care once she was discharged in a “place of safety,” namely, on the sidewalk across the street from their destination. The Court denied defendants’ motion for Summary Judgment. Plaintiff and Entourage Livery, Inc. agreed to submit the case to binding arbitration. Plaintiff settled separately with co-defendant operator of the vehicle which struck her for $25,000.00. Following a one-day arbitration which focused heavily on defendants’ legal defenses on scope and duty of care, the arbitrator found for the plaintiff, awarded $750,000 and reduced that amount by the 20% for plaintiff’s comparative negligence. Prior to the arbitration, the parties negotiated interest of 12% on the award. After adjustments for plaintiff’s comparative negligence and the 12% interest, the award totaled $672,000. Plaintiff’s net recovery totaled $697,000.